Someone could tell me exactly what steps would have to have a receiving dipole frequency 131.800 Mhz AM? This calculator says it's, 3ft. 6 - 5/8in. or 1.082 Meters long.. Almost any 2 meter band vertical antenna should work pretty well. That's what I've used on 131 Mhz ACARS and got nice range.. 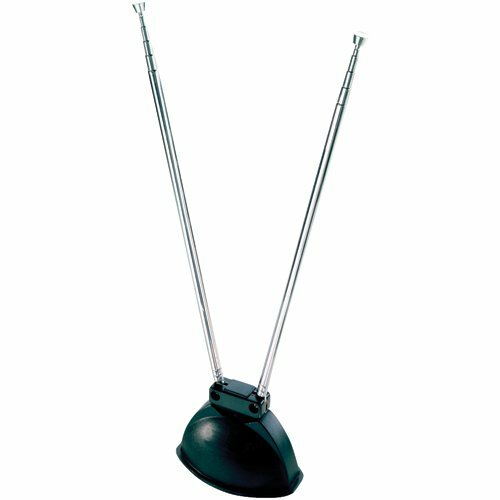 I could have used an old VHF TV antenna, just adjust it to be 1 meter long.. But I already had a Ham 2-meter (144-148 mhz) antenna installed. Exquisite works perfect, thank you very much Richard, and finally we got 1ft. 9 - 5/16in. or 0.541 M with two aluminum bars. I've been thinking about building a 131 MHz dipole. I've got some 10mm aluminum tube that would work. Just need to drill some plastic to make an insulator that will hold the two elements. If you had fat aluminum tube, you could use a PVC 'T' fitting for the support and insulator. These antennas use pop-rivets to hold the elements in the insulating PVC 'T' fitting. Odd.. That post in the big photo looks like wood.. Maybe Bamboo..
to match the polarization of the signal transmitted from the planes. If you use a horizontally polarized antenna for ACARS, the signal loss could be 20 dB. If this seems very technical, and I created two mop sticks cleaning lady left over and fixed it zassss, 100 works by 100, plus I like that the frequency offset that goes ....... fm a station above that makes me (piiiii, piiiiii), because that's lame and 131.711.234 and 131.810.864 - 8 brand with brooms and perfect work perfect. Wood is a good insulator. Not so good when it's wet. Some Ham Radio guys use water proof paint or hot-wax coating on wood insulators. Of course those antennas are normally used for both receive and transmit, so good SWR performance when wet (rain) is important.